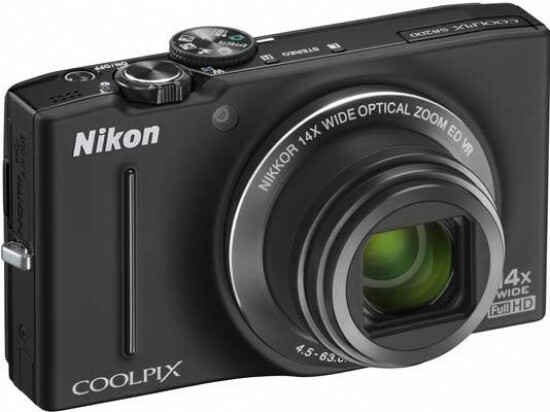 The Nikon Coolpix S8200 increases the megapixel count and the zoom to keep up to speed with the competition, although merely average image quality and a slight price increase prevents us from recommending Nikon's latest travel-zoom model more highly. The S8200 gets a more versatile 14x lens for 2011, which captures everything from wide-angle landscapes to close-up and personal candid shots, all without making the overall camera too much bigger or heavier. The move to a back-illuminated 16 megapixel sensor is a less successful one. As with its predecessor, the S8200's image quality is still only just above average, delivering acceptable results in terms of noise from ISO 100-400, although it becomes all too apparent at ISO 800, with the faster settings of 1600 and especially 3200 not really worth using. So although adding more megapixels hasn't detracted further from the camera's image quality, it certainly hasn't improved it. The 6fps continuous shooting at full resolution and target-finding auto-focus mode are both excellent additions to the already quick performance of the S8200, joining the DSLR-like autofocusing speed, quick start-up, short shutter-lag and general speedy operation. Other standout features retained from the S8100 include the excellent high-resolution LCD screen, handy shooting mode dial and the full 1080p video mode, accompanied by a range of high-speed modes and the very welcome ability to use the 14x optical zoom with autofocusing during recording. In summary the Nikon Coolpix S8200 improves a couple of major features and adds a few new functions to further improve on a camera that we already liked a lot. Unfortunately it still has some key deficiencies, most notably the so-so image quality especially at the higher ISO speeds, the frustrating need to access the main menu for commonly used options like ISO speed, and the lack of any manual controls for more advanced users. Just like its predecessor, this makes the S8200 better suited to more casual users looking for a versatile all-rounder, rather than possibly being a pocket backup for a DSLR or compact system camera user. The Nikon Coolpix S8200 is Highly Recommended for point-and-shoot use in good light, which will more than satisfy most of the camera's target audience.